What is the Simplest Poker Game to Learn? - Casino Answers! Casino Answers » Poker » Online Poker Beginner Q&A » What is the Simplest Poker Game to Learn? What is the Simplest Poker Game to Learn? There are a number of poker games for all levels of players, but the best poker game for a beginner is Texas Hold ‘Em. There is very little need to count cards or calculate odds, and the rules are pretty straightforward. It is a game you can learn to play in minutes, but you will want to practice the game often before placing money on your game play. Practicing online is most effective because the tedious tasks of dealing and shuffling, and determining the best hand, are all handled by the computer. Online gaming sites all have practice rooms where beginners can practice for free before playing for money. These are great and some sites even have odds calculators that show you how likely you are to make your hand. This is a great way to learn the probabilities of poker early. Basically, in Texas Hold ‘Em, the rules center around a 52-card deck. Each player is dealt five cards, two face down and three face up. 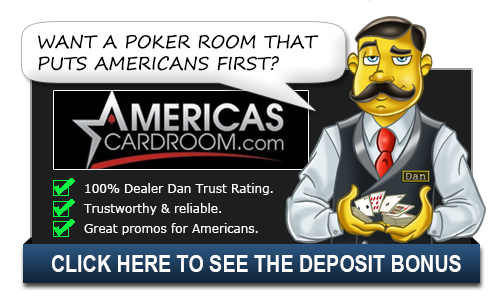 Players bet on their hands based on what they know is on their two private cards and what they see face up in front of their opponents, which they are able to swap out once the dealer has dealt and laid out his cards. Winning hands are determined by basic poker rules. There are four betting rounds so you have many chances to make money or fold if that’s what you need to do. The game is basic in its rules, but you will want to commit some time into learning the ins and outs before putting money on your hand. If you really want to play a lot of poker try out Full Tilt Poker. It doesn’t hurt that this is also the most popular game in the world and the game you will most likely be playing if you ever head to a casino or play online. These games are always full and easy to find which makes a lot of sense because it’s also a lot of fun to play. Another good starting game is five-card stud. This game works well to teach new players because you don’t have to think about making your hand on the board and instead the hand that you have is the hand in your… well, hand. Learning what hands beat what and how to build hands is something you pick up very quickly in five card stud. Whatever form of poker you choose, the rules are mostly the same. Aces are the high card, Royal Flushes are the best possible hand and right on down the line. The basic tenants of poker all certain around this and the hand rankings can easily be found online or in a little card insert included with a deck of playing cards. Once you get those basics down, you can quickly start playing for money and start improving your game. Poker is something you can play for years and years without ever mastering it or getting bored.